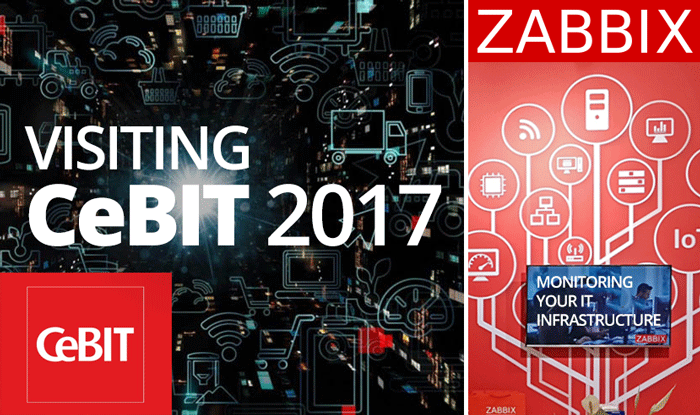 Throughout the whole event, Zabbix engineers and partners were giving short presentations on Zabbix, showcasing its capabilities. 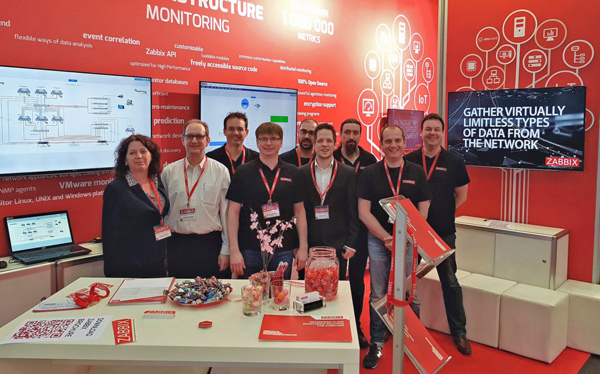 A plenty of things were discussed: availability monitoring, alerting, visualization, trend prediction and much more! 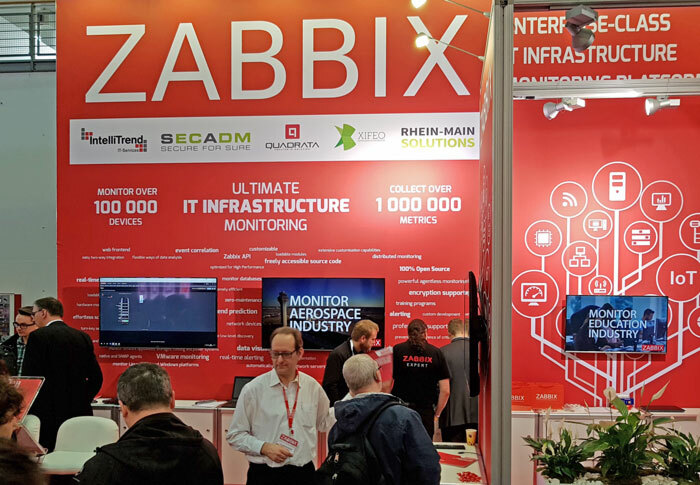 At our stand you could learn how Zabbix is used in all industries. Aerospace, banking and finance, retail, telecommunications, mass production, education, government and more! 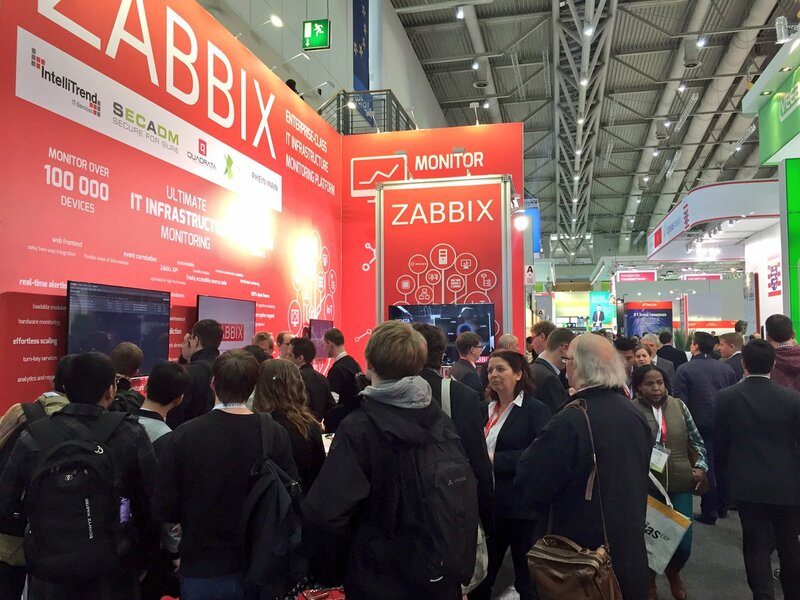 Hope you used all the chances to win Zabbix souvenirs and leave CeBIT with a memorable part of Zabbix! Thank you, our honored partners, for sharing this event with us! IntelliTrend, Rhein-Main Solutions and Secadm from Germany, Quadrata from Italy and Xifeo from the Netherlands. We already have some fresh ideas for the next year’s event! Thank you all for the awesome time spent and the inspiration you give us! See you all in Hannover soon!